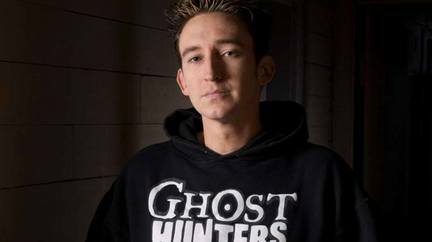 Dustin Pari of ‘Ghost Hunters’ will be at Deep River Library, Oct. 28. DEEP RIVER — Get into the Halloween spirit with this exciting Deep River Library event! Dustin Pari visits the Deep River Public Library for a spine-tingling lecture on the paranormal on Friday, Oct. 28, at 6:30 p.m.
Pari’s experience with the supernatural includes stints on ‘Ghost Hunters’, extensive world travel researching the field, as well as being an active member of The Atlantic Paranormal Society (TAPS) for more than 10 years. Pari has also penned several books on his ghostly adventures, which will be available for purchase. Known as the Paranormal Rockstar, Pari will give a 90-minute lecture paired with audio visual material and allow plenty of time for attendees to ask questions about his encounters with the paranormal. For more information on Pari, visit his website at http://www.paranormalrockstar.com/ or follow him on Twitter @Dustin Pari. This program is free and open to all; no registration required.